Atty. Romulo Macalintal, lawyer of the Vice President Leni Robredo proves that the wet ballots that Bongbong Marcos complains about was not intentionally soaked in water for before it reached the Presidential Electoral Tribunal (PET), the aforementioned ballots were already wet. 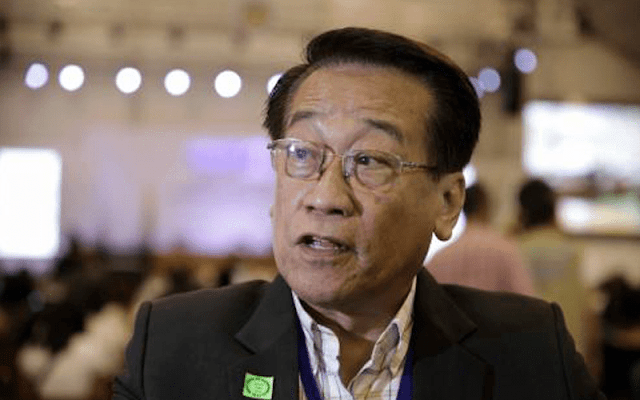 First of all, Macalintal is showing signs of defense despite not being the lawyer of the Commission on Elections (COMELEC) or PET. Second was that isn’t it illegal for an outsider to actually see the ballots before they were transported to the PET? And furthermore, why did he not reveal this to the public before? Third point being that he deliberately and with full awareness stated the fact that assures us that the ballots were not intentionally soaked in the Supreme Court. A wild and brave assurance, considering the fact that Macalintal cannot be around the ballots at all, nor has there been proof or reports that he was at Camarines Sur to accompany the ballots retrieval. This leads to speculations that if he wasn’t there, then he had eyes watching over the ballots? Isn’t that illegal? Moving on to the Fourth point, Macalintal admitted that the ballots were really wet when he saw them. If that was the case then it must’ve been recently compromised by the time he saw them. It wasn’t moist, it wasn’t splashed on, they were completely drenched. There were no details presented on the date, location and name of the typhoon. It was all just a wild and random statement. A meritless reason that he thinks could fool the public. Sadly you can’t fool the upset masses after being incredibly inconsistent and an entity of doubt who is bringing Robredo’s downfall through wild accusations, meritless reasons and random claims which makes him both a shame and sham to his defendant and to lawyers alike.